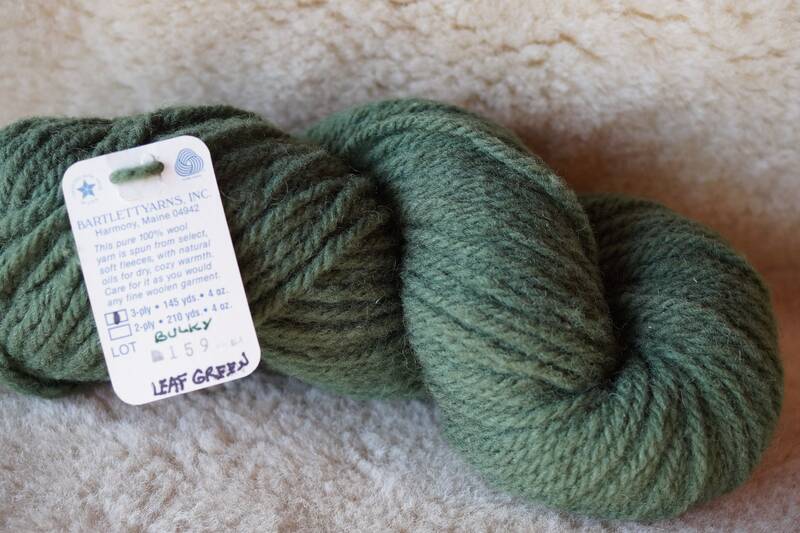 LEAF GREEN 3 ply bulky or 2 ply worsted weight Fisherman Bartlettyarns. Mule spun in the USA. Yarn color appears lighter in photo. Bulky 145 yards or worsted 210 yards per skein [hank].